Today is vastly different than yesterday. The skies are blue, the sun is shining abundantly (as predicted), and I'm embracing the turning of the season with a smile,some more baking on my mind, and the first shop update I've had in months. I wish I could have made more... I always feel that way. So many ideas, and never enough time. You feel that way, too I'm sure. Well, we'll keep writing our lists together. 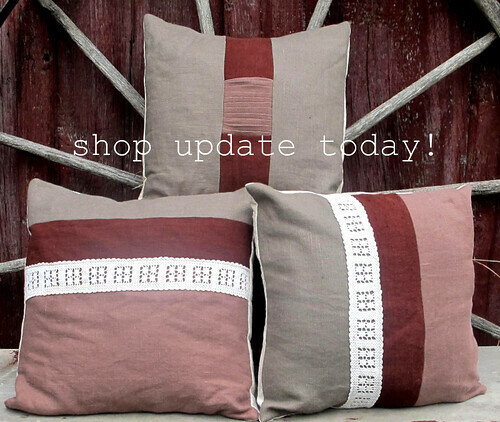 In the meantime, I'm happy to welcome you over to check out a few new items in my shop.